We have been an industry leader for cylinder overhauls since 1993. We have a very strict detailed overhaul process that provides you with a reliable quality cylinder for your aircraft. We will overhaul your 1st run cylinder to factory new specifications. We warranty our overhauled cylinders for 6 months or 240 hours which ever comes first. 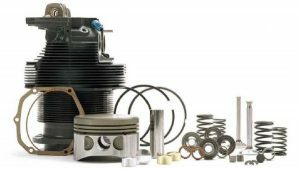 We follow factory guidelines for all our Lycoming and Continental cylinder overhauls. We can overhaul your 1st run cylinders if they are in acceptable condition for an overhaul. Or we have a large stock of 1st run Lycoming and Continental cylinders on hand. This helps when you need a quick turn-around on a cylinder overhaul. Currently we have the following model of cylinders available for 1st run overhaul; Lycoming o-235-L2C, Lycoming O-320-E2D, Lycoming O-320-D2J, Lycoming O-320-H2AD, Lycoming O-360-A4M and IO-360-L2A. Please call Bryan McKiness 815-544-3471 or email bryan@poplargroveairmotive.com to confirm that we have the proper 1st run cylinder in stock should you choose that route. Whether you purchase new cylinders or have us overhaul your cylinders here at Poplar Grove Airmotive we will prepare them for installation. This will save you time and allow you to be able to bolt your cylinders on right away. We will Pressure check, install rings and pistons as well as pre-lube all rings and pistons for you!